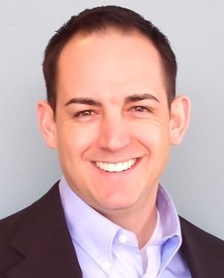 Chris has been a state-licensed loan originator with Fairway Independent Mortgage in Meridian, Idaho since 2013, and has been in the mortgage industry since 2008. Purchasing a home is an exciting and important life event. Chris is committed to taking great care of his clients the way he would want to be taken care of. The most rewarding part about being a mortgage professional is working as a team to determine the best mortgage program for his client’s current financial situation and future life plans. Chris has lived in Idaho his entire life and has a beautiful family of six. Chris is a fitness enthusiast and teaches fitness classes several times a week, which keeps him goal oriented, grounded and focused. Chris believes you are only as successful and happy as the people you choose to surround yourself with. His clients see this throughout the loan process not only from himself, but the entire Fairway Mortgage Team.